Surrounded yourself with million dollar views! The stunning curb appeal with the stone wall, extended paver driveway and RV gate set us apart from the start! With beautiful flooring throughout, formal living and dining rooms, plus a great room, this 6 bedroom home has it all! The chefs kitchen offers staggered cherry cabinetry, stainless steel appliances, granite counters, gas cooktop and DOUBLE islands. There’s an interior work space that features custom built-in cabinets, and an office with rich wood custom shelving and guest room on the first floor. The gorgeous spiral staircase leads you to a spacious loft with room for everyone. The master retreat offers ample space, complete privacy and a beautiful en-suite. The Resort style backyard is like no other! Your own staycation everyday! Approximate size: 9031.00 sq. ft. Please, send me more information on this property: MLS# 5907383 – $545,000 – 5717 W Bonanza Lane, Phoenix, AZ 85083. 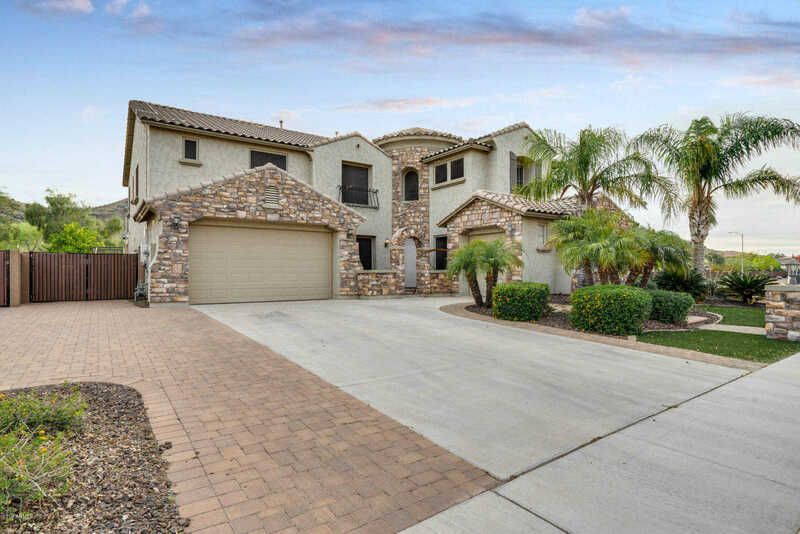 I would like to schedule a private showing for this property: MLS# 5907383 – $545,000 – 5717 W Bonanza Lane, Phoenix, AZ 85083.